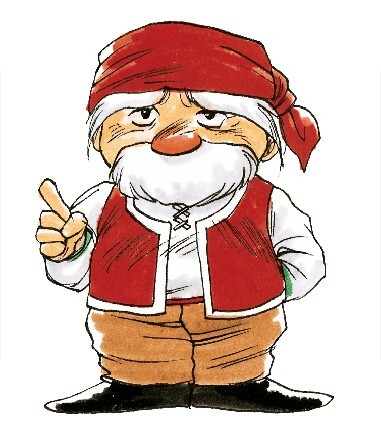 A man of small stature but great courage named Doromu joins the quest of Minina and Alec in Phantasy Star Gaiden. He plays a vital role in helping the pair reach and restore the corrupted android Didalos. Doromu seems to know a great deal about bits of the world left from the time of Queen Alis, as he is able to repair an android from that time and operate a water gate that enables his young friends to find legendary items made of laconia.